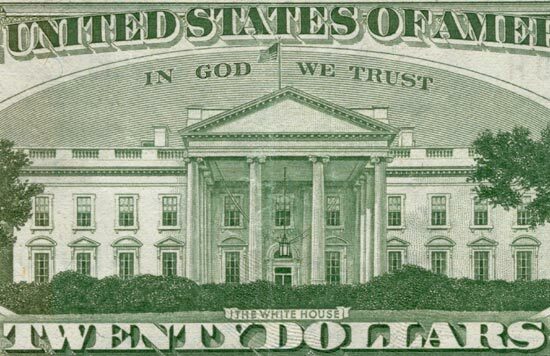 NEW YORK — A prominent atheist is again on a quest to remove the motto ‘In God We Trust’ from American currency after losing attempts to do so thus far, and is now seeking to use the federal Religious Freedom Restoration Act (RFRA) in his strategy. As previously reported, atheist Michael Newdow, who has filed numerous suits challenging the mixture of God and government, first submitted a complaint in the Southern District of New York in March 2013, asserting that the motto violates the Establishment Clause of the United States Constitution as it serves to proselytize unbelievers. He consequently appealed his case to the Second Circuit Court of Appeals in Manhattan, but last May, the court likewise ruled against the prominent atheist. Now, Newdow is seeking plaintiffs for seven new lawsuits—one in seven of the twelve federal circuits—that challenge the motto from a different angle—the federal RFRA signed in the 1990s by then-President Bill Clinton. He said that he is especially seeking families with children to be a part of the cases, since he believes that children will have greater influence on the courts. “If you wish to participate—especially if you have minor children who you think will look back with pride as adults, knowing their parents gave them the opportunity to personally take part in strengthening civil rights in our country—please write to [me],” he reiterated. Newdow did not outline whether he is seeking only atheists, or whether he believes atheism is a religion—one that is being burdened by the presence of the motto. In 1956, Congress passed a resolution making “In God We Trust” the national motto, which was again upheld by the U.S. House of Representatives in 2011 by a 396-9 vote.